Homework is an important part of study but it can be overwhelming for a TEFL teacher with a mountain of exercise books to mark. To avoid this, smart ESL teachers should set some (if not, the bulk) of their homework assignments as independent study which the teacher does not have to correct. Here are the best resources in 2018. Learning a foreign language is a steep mountain to climb. Along the journey, it’s important to get your ESL students to research English grammar and vocabulary independently or you, the TEFL teacher, will have to push everyone up the incline alone (and probably burn out in the process). 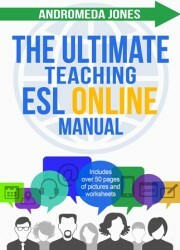 Here are some of the best ESL resource sites. Collocations are verb + noun or verb + adjective combinations that make an expression. They are one of the keys to learning to speak English well and if you teach them in your lessons your students will love you for it. 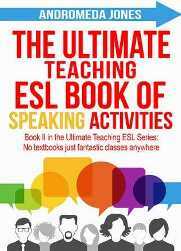 This list includes over 80 collocations and now here they are ready for you fellow TEFL/EFL teachers. To make things extra easy, you'll can download a PDF handout below to use in your class. Enjoy! These games have been around for years and can be easily adapted to teach English. They can be bought in toy shops or on Amazon. Alternatively you can make variations yourself with card and felt tips. The TEFL/ESL roleplay 'The Amazon Telephone roleplay' is a pairs’ activity to practice telephone skills. It is especially useful for business classes as students are keen to practice taking down information on the phone. Check out my top #5 speaking activities to teach possessive adjectives, possessive pronouns, comparatives, interrogatives and more. What tools do you need? Just a pack of children's picture cards. 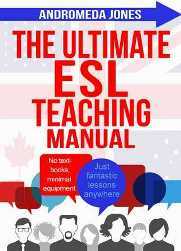 Get monthly tips, tricks and free worksheets for no textbook EFL English teaching.